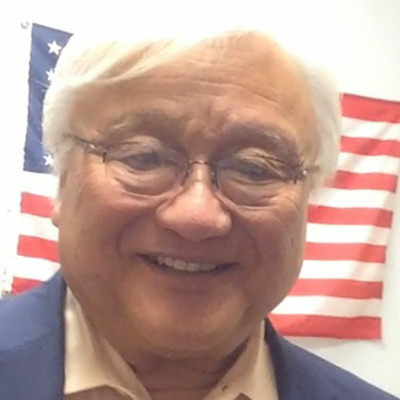 Sunday will be a regular community-type day in the Silicon Valley district of Congressman Mike Honda (CA-17), even though he finds himself fighting for his political life. Honda shares the marquee as “special guest “and internment camp survivor at the Korematsu Institute’s celebration of Fred Korematsu Day, January 26. Korematsu is the legendary Asian American civil libertarian who stood up and fought the internment order during World War II. They are the ones who break the “quiet” stereotype, find their voice and courage to stand up for their rights. This year’s event will also feature immigration activist Jose Antonio Vargas, who dramatically went public about his undocumented status to fight for immigration reform. That the annual Korematsu event will be in San Jose, smack dab in the 17th Congressional District, is more than a nice coincidence for Honda. From now through a June primary, and all the way to the November election, it’s likely that residents throughout the district—considered the largest Asian American majority district outside of Hawaii–will have every opportunity to be reminded of the kind of iconic “public Asian” Honda is. ICYMI, Honda is the long-time public servant in the area, serving as a high school teacher, Peace Corps volunteer, county supervisor, state assemblyman, and since 2000, a member of Congress. And indeed, in case you missed it, he’s a survivor, placed in a WWII internment camp as an infant. Honda’s been fighting the system ever since his first wet diaper. Given all that, you’d have to be extremely ambitious to unseat him. But two Asian Americans have stepped forward to try. Very un-Asian like perhaps, but these aren’t traditional times. But Honda doesn’t see it that way. The two Asian American challengers who definitely don’t want to see Honda continue are both of South Asian descent. Vanila Singh, 43, a Stanford doctor, filed her candidacy last week with about $100,000 in cash, $ 25,000 of it her own. Khanna’s raised nearly $2 million in cash so far, erasing Honda’s one-time cash advantage, and now has a war chest more than three times Honda’s modest $622,000. But Honda, at 72, is letting his experience show. He is cool and undaunted by the cash of his district’s new tech establishment. Then he added, “It’s not about money; it’s the ground game,” he said. And the ground game for Honda is ramping up for the long haul. Mostly it’s the presence and reminder of what Honda has meant to Asian Americans nationwide, and to his local community. The grassroots folks in both high and low tech. Honda is a people’s guy. That’s always been an advantage in congressional races. This has become a modern truism: People may hate Congress, but they love their own congressman. Their guy. And in this majority Asian district with nearly 50 percent voting Democratic, Honda is well loved. It doesn’t leave Khanna much of an ideological race to run. Both Khanna and Honda tend to agree on most issues. So Khanna’s focus is big on changing the status quo. It’s the “hope and change” strategy. Government doesn’t work–just look at that government shutdown. And what was Honda doing while the Tea Party obstructed? He says he was working hard to provide alternatives and was the major architect of a progressive budget, the people’s budget. Generally, it’s a budget that would invest in our infrastructure, our education, protect our seniors to make sure Medicare works and Social Security is not privatized, Medicaid not minimized. It’s all unfinished business, and the reason he says he needs to get back to D.C. He’s still committed to hope and change. It’s probably the best defense a Democratic incumbent can have these days. But add to that Khanna’s new status as leader in the money race and suddenly Honda is….the new underdog. California’s primary system has the “top two” go on to the general election in November. That means it’s likely that Honda and Khanna will go head to head all the way to November. It’s like a biathlon. You cross country ski a long way, then you shoot your target. So far Khanna has done all he can to go after Honda. Last week, he asked Honda to back a people’s pledge of not accepting third-party advertising. That’s even though both are against Super Pacs and Honda’s long been an advocate for transparency in campaign finance. Khanna is so eager and confident to get the campaign going in earnest, he’s called for early debates before the June primary. But Honda is taking the long view, seeing no rush to debate now. He has an official “thinking about it” stand on early debates. In the meantime, Honda again insists it’s “not a civil war,” as he goes about his business, such as speaking at the Korematsu Day celebration this weekend. There he’ll simply be Mike, the community member and member of Congress, who was once the bawling infant who survived the internment camps.